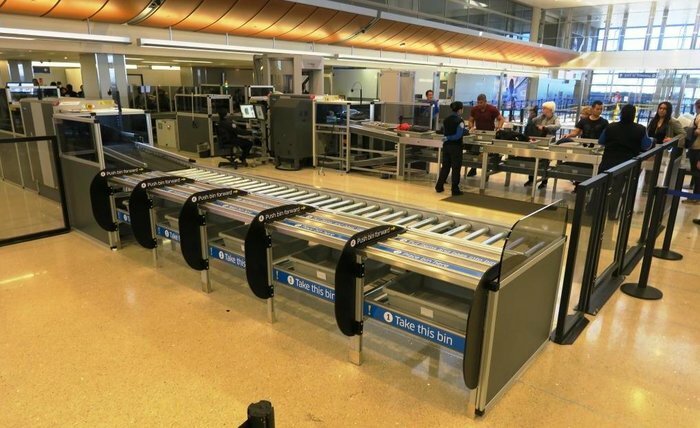 Los Angeles World Airports (LAWA) has installed the final two automated screening lanes in the Tom Bradley International Terminal (TBIT) at Los Angeles International Airport (LAX) in California, bringing the total number of new security lanes up to 14. Carried out in partnership with the US TSA, the automated lanes allow up to five guests to load their trays at the same time thanks to a conveyor system that automatically feeds trays to each position. The work began in July 2017 and involved replacing 14 of the checkpoint’s 16 lanes with the new technology. The remaining two lanes were also replaced, but use a traditional screening system to handle odd-sized items. The lanes were installed in groups of two and three while the checkpoint continued to operate. LAX now has 27 automated security lanes in operation, with additional lanes in terminals 2, 4 and 7. According to the TSA, LAX has more automated lanes than any other US airport. Three more lanes are expected to open in Terminal 3 later this year.